Someone's going to have to step up. Our problem has been lack of opportunity for many of our guys. Jaylen and/or Gordon are ready to step up and fill this void. I hope Stevens is happy. Just a complete buffoon. Such a failed season from Stevens. Well Woj would know, he has so many inside sources on the Celtics. Losing Smart for one round would have been fine since I still feel confident we can get by Indiana without him. BUT a 2nd round matchup against Milwaukee without Smart? Yeah... that's where this will hurt a ton. Hayward and Brown are going to have to step up even more, but I also imagine this means Rozier will now have a bigger role, which can either be a disaster or similar to last year's playoffs with "Scary Terry"
When does it take 3 days to diagnose something like this? I feel like we'd know Smart's status Monday morning. Maybe Ainge was trying to play mind games and purposely giving out false info when he said Smart is day-to-day? Maybe Ainge is playing mind games now with this Woj leak? Maybe Smart got a 2nd opinion? 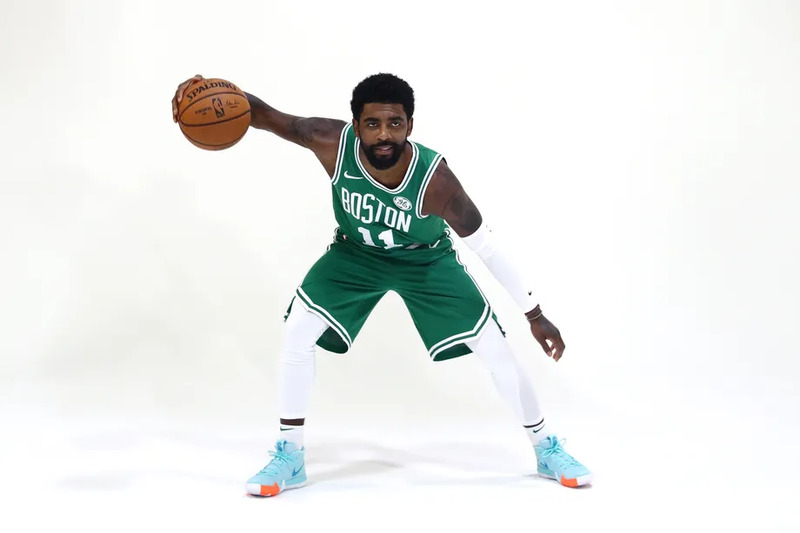 Are the C's back to having a sucky medical staff? Another A+ job, Brad! One of our most important players gets severely injured in a meaningless game right before the playoffs because you’re a dumbass who doesn’t think, even though you had no problem resting other players costing us games while we were still in the battle for the fourth seed for some ungodly reason. So done with Brad. It’s dumb, arbitrary, and inconsistent decisions like this that have screwed us over all season long. What a joke. The day he no longer coaches the C’s can’t come soon enough. Smart could have gotten hurt in any game. The reason we love him is that he tries hard in every game he plays, and that he tries to play as often as possible. Your reaction is over the top and irrational, but I get it because this is some really bad news. You guys blaming Brad for this are out of line. The players already had Tuesday off. What are they supposed to? Not play a single game in 8 days leading up to the playoffs? Then they would've been as rusty as hell. How many days are the players supposed to have off? I guess someone has to be blamed for everything. Well said re Stevens. Can't wait until he goes back to the college ranks. Yeah, if he rested all the rotation guys in Orlando as well as Washington and then the team came out and lost the Round 1 opener, everybody here would be calling for his head because the team wasn't ready. Plus the #3 seed was still in play. If the C's beat Orlando, and Philly loses tonight, the C's would have gotten the #3 seed. Sure a lot of us would prefer the #4 seed and being on MIL side of the bracket, but there's also the possibility of a PHI/BOS ECF with Boston having home court if the C's grab #3. Practically no chance of home court after the first round unless DET/ORL/CHA/BRK pull off some of the greatest upsets of all time. Should the team have sat everyone once they clinched a playoff spot in March? I don't know why all playoff teams don't rest all of their starters once they clinch the playoffs, honestly. Surely the NBA would allow that, right? First, this wasn't just any game - it was literally meaningless for the Celtics. So, sure, he could've got hurt in any game, but he had literally no reason to play in this game, along with the rest of the starters. Second, the only thing irrational here is Brad's decision-making - like, literally irrational. He rested people down the stretch in numerous games for the playoffs, even when we were fighting for home court advantage, costing us several games. Yet as soon as we lock it up he goes ahead and plays everyone in a literally meaningless game, leading to two starters getting hurt and leaving the game. That's literally irrational decision-making. I mean, no? lol This is just another rationalization to defend this dumb decision, Pho. Resting is the standard practice in today's NBA, and virtually like half of the game thread that night was everyone begging Stevens to take the starters out. Seriously, look it up. We were all p---ed the entire time for continuing to play the guys in a meaningless game. Don't act like this is just Stevens' prejudice; like most of the other criticisms of Stevens this year, this is a legitimate critique of his poor decision-making that are borne out by the resulting consequences.